Looking for quick cash? Sell your old unwanted vehicle to us and earn instant cash. Wreckery, the car wreckers from Coopers plains buys all vehicles in exchange for good money. The car and auto wreckers Coopers Plains – Wreckery has been providing cash for cars Coopers Plains for quite some time. If you have any kind of vehicle in any condition that you don’t want, call us and Sell Cars for Cash Coopers Plains in a hassle-free manner. Free services such as car removal, no-obligation quote, and paperwork. What more you need, to get rid of your unwanted car and earn money all from the comfort of your home? Wreckery offers services as car wreckers Coopers Plains. We buy vehicles of any condition. Be it damaged, wrecked, unwanted, accidental, totaled, dead, or dented. We buy all vehicles. Also, we have an eco-friendly method of disposing of the vehicles. Thus, we play the crucial role in keeping the surroundings and the environment clean by buying and disposing of vehicles – the major source of metal waste and pollution. Wreckery has become the Reputable Wreckers Brand through sheer dedication, good businesses ethics, upkeep with latest trends and honoring the quote given to our clients. It takes years to build a reputation and a day to ruin it. We, therefore, ensure that we hold up our reputation by being true to our values, no matter the market condition. Having over a decade of experience as car wreckers Brisbane has made us sort of expert in the field of auto wreckers Coopers Plains. We understand and identify the value of the unwanted vehicle from just a look. Even if a vehicle is a complete waste, it still holds value for us and therefore we don’t differentiate while buying a vehicle. Also, we ensure that we don’t become complacent at any given time as we value the trust our clients have put in us over the years. So, call us and experience the service of expert wreckers Coopers Plains. We take safety procedures very seriously. We follow all safety rules to ensure yours as well as our team’s safety while handling vehicles. All our equipment undergo regular maintenance and we train our team periodically on how to operate machinery and to follow the safety rule. Your safety is of utmost importance to us. We have the latest equipment for dismantling the vehicle. And we also have one of the best team of automotive dismantler amongst all other car wreckers Coopers Plains. We adhere to three-step dismantling process to ensure no harm comes to the environment or to our team. When we buy the vehicle, we remove all the liquid components such as coolant, petrol, gas and dispose of them safely. Then we dismantle the vehicles to remove the working parts. And post dismantling we crush the remaining metal scrap for recycling. Thus, we ensure no harmful liquid or gas enters the environment and there is no harm to the environment due to metal waste. If you are ever looking to earn money from your worthless vehicle, contact Wreckery – the preferred cash for cars Coopers Plains. You can sell used cars, Vans, 4wds, SUVs, and trucks of any make, model and in any condition. So don’t hesitate anymore, call us now and convert your liability into a cash earning asset. 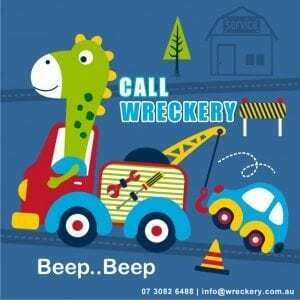 Wreckery is a renowned auto wreckers, Brisbane. We provide our services to surrounding areas of Brisbane, including Coopers Plains. We offer varied services such as cash for car, car removals, pre-owned vehicles, and spare part dealers. So, whatever you need for your car, we are a one-stop solution. Come visit us and tell us how can we help you. So don’t settle for less. Choose us to sell car to wreckers Coopers Plains. We have a simple process that completes the sale of your vehicle swiftly. Get QUOTE – To receive our no-obligation quote, contact us with the details of your vehicle. Accept OFFER – If you agree with the quote, we arrange for physical inspection of your vehicle at a time convenient to you. Once we verify the condition of the vehicle, we make you the offer. FREE Towing – On accepting the offer, we arrange for free car removal at a date, time and a place suitable to you. 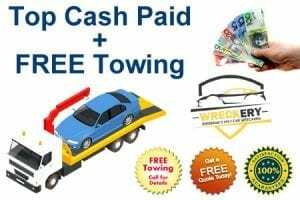 Get CASH – On the designated day, we tow your vehicle and pay you cash on the spot. Do you have a car, Van, UTEs,4×4, SUV, truck or commercial vehicle, you no longer want? 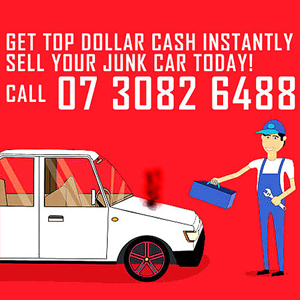 Contact the truck wreckers Coopers Plains, to get easy and quick cash for your unwanted cars. Don’t worry about the condition of your vehicle, since we buy vehicle irrespective of the condition it is in. Wreckery offers all services pertaining to cash for car such as car removal, dismantling and disposing of the vehicle in an eco-friendly manner. When you decide to get rid of your unwanted vehicle, choose us to get the best of services and cash payments. And, the assurance that you are contributing your bit towards environment conservation by choosing a car scrap yard Coopers Plains that ensures green disposal of vehicles. Sometimes replacement parts are as expensive as buying a new car. However, with Wreckery you are guaranteed to get affordable used, new and aftermarket parts for all types of vehicles and their models. So, don’t let the cost of replacement keep you from enjoying your vehicle, contact us now and get your car moving again.